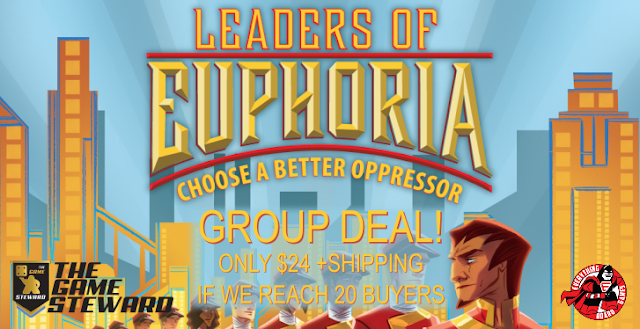 We are excited to be teaming up with The Game Steward to bring you the Leaders of Euphoria: Choose a Better Oppressor Deluxe Edition Group Deal. If we can get 20 people to sign up for this deal by September 29, 2017 we can offer it to you for only $24.00 plus shipping (MSRP $50). This deal is open to US residents only. 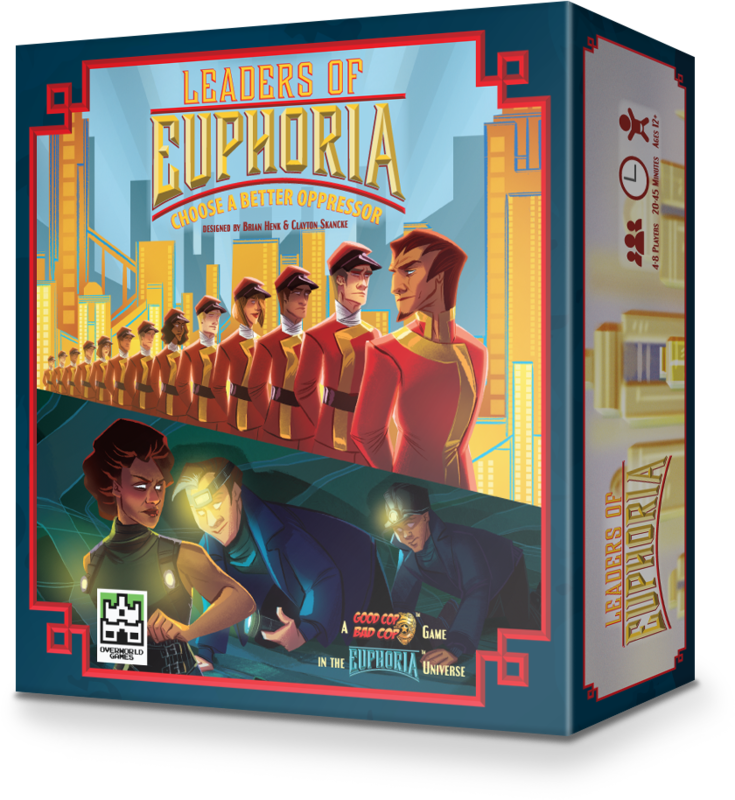 "Leaders of Euphoria is one of the best large group deduction games I think I have ever played." "Although the rules are simple ... there is just so much strategy in this game." "[The Wastelanders] make this game a lot more strategic than the original Good Cop Bad Cop." Thank you Game Steward for bringing us this awesome deal!! !